Stay hydrated before, during and after your yoga practice! 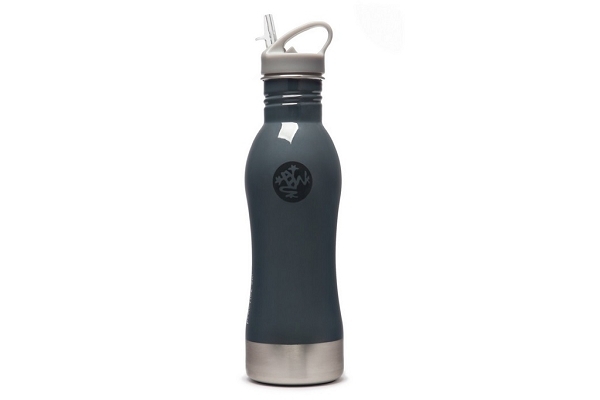 The Manduka stainless steel water bottle is made of 100% recyclable, high-quality, food grade stainless steel so it doesn’t need a special lining like some other metal bottles. It’s completely BPA*-free and won’t leach chemicals, toxins, or funky flavors into your water, juice, smoothie, or drink of choice. Plus, it's lightweight and incredibly durable, so you can reuse it for years. * This product is BPA-free. In scientific studies, BPA (Bisphenol-A) found in some hard plastic or aluminum drinking bottles has been linked to cancer, infertility and heart disease.